We welcomed a special guest a few weeks ago for a long weekend of fun and tasty food. 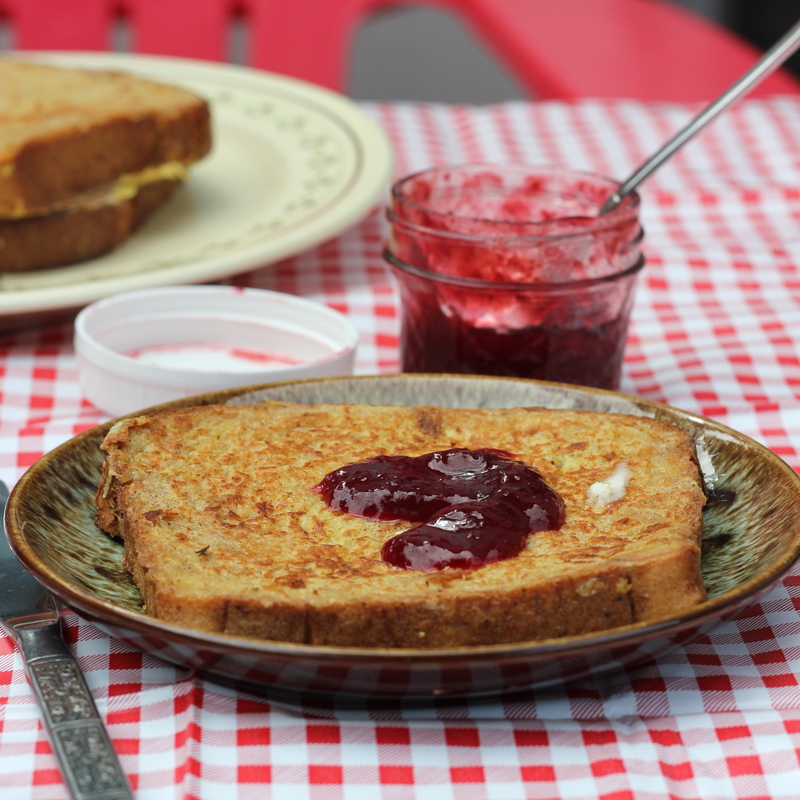 I took advantage of the company to make some french toast topped with freshly canned plum jam. 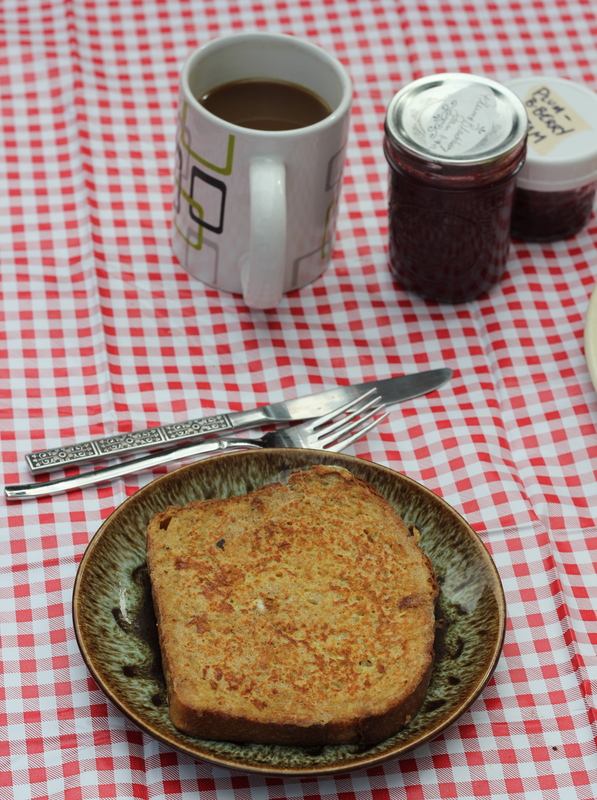 I don’t follow a recipe for my french toast, so i won’t bore you with my notes. Needless to say that local milk, eggs and bread all come together for some fabulous eating! Do you have brunch plans for this weekend? Glass jars are one of those things that I have a hard time parting with. If I do part with them, they go into the recycling bin, but most of the time I keep them… ALL of them. 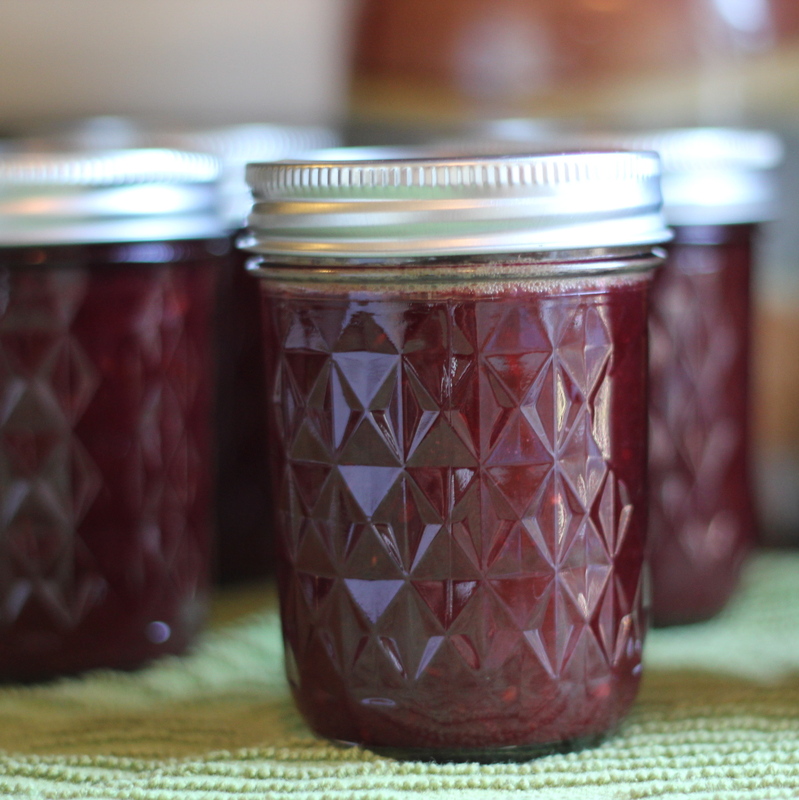 I don’t buy a lot of things in cans or jars anymore, but from time to time a jarred item makes its way to my kitchen and after it is empty, that jar will be put into service in a second life storing something. 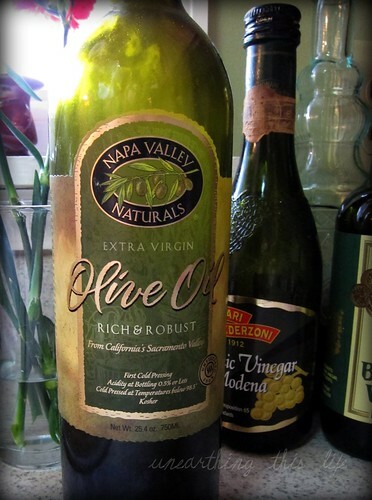 It isn’t just my own jars I keep, I have some friends that will give me their empty jars and I also have been known to lean into the recycle dumpster from time to time if I spot a jar I can’t live without. Sometimes those certain jars just call out to me. I might as well fess up right now; I also save any lids that come my way. Why? For those jars that canning lids won’t fit on and over the years, the originally metal lids will start to rust and your just never know when you might need a new one – well, I have them in all shapes and sizes, metal and plastic. My way of thinking is (and by all means my thoughts aren’t always “normal”) that I am recycling them my way first before they end up at the recycle center later. Back to the jars. 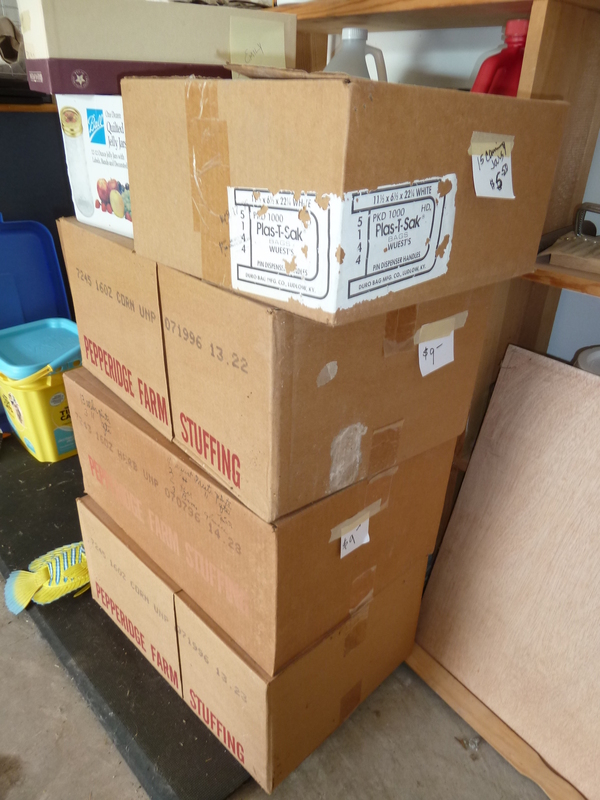 I mentioned a rather large canning jar purchase here this past summer when I brought home a few more boxes (ok 7 boxes) of canning jars from an estate sale. 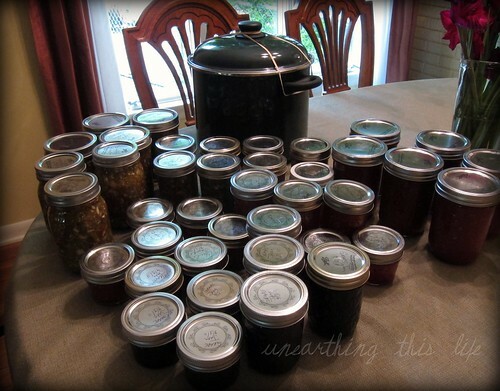 I had told myself that I didn’t “need” any more canning jars and there I was piling more in my truck. Since then I have brought home 4 more boxes of canning jars from a garage sale. I have high high hopes that one day I will have more tomatoes then I know what to do with (or peppers or fruit) and I will be a canning-fool filling all those jars. 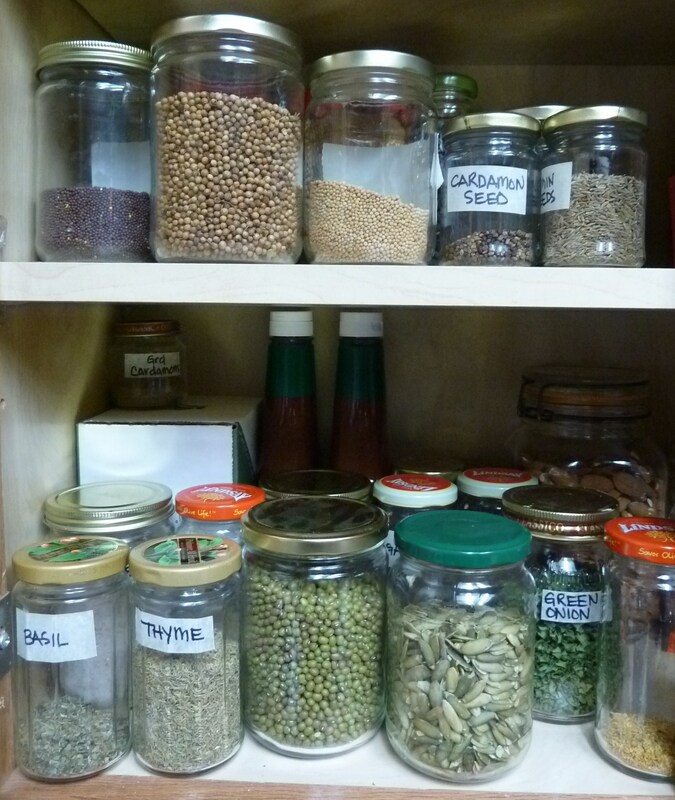 I will have those jars, ready to use and I won’t have to run to the store for more jars. My jars also cost me less than half of what new jars would cost. Yesterday I did it again…. I came home with more jars. These are special jars though (they all are, right?) I went to an estate sale at a farm. Oh, it was a neat place. The back roads call out to me. 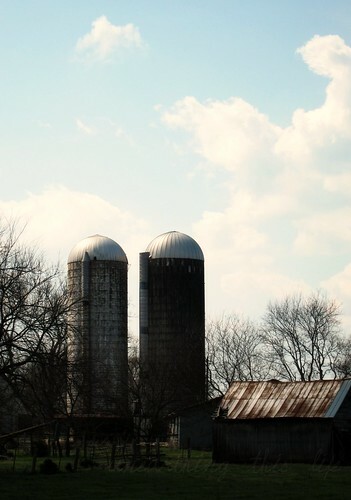 The farm calls to me. The jars called to me. There was a small outbuilding that looked like it was used for making wine and storing canned things. 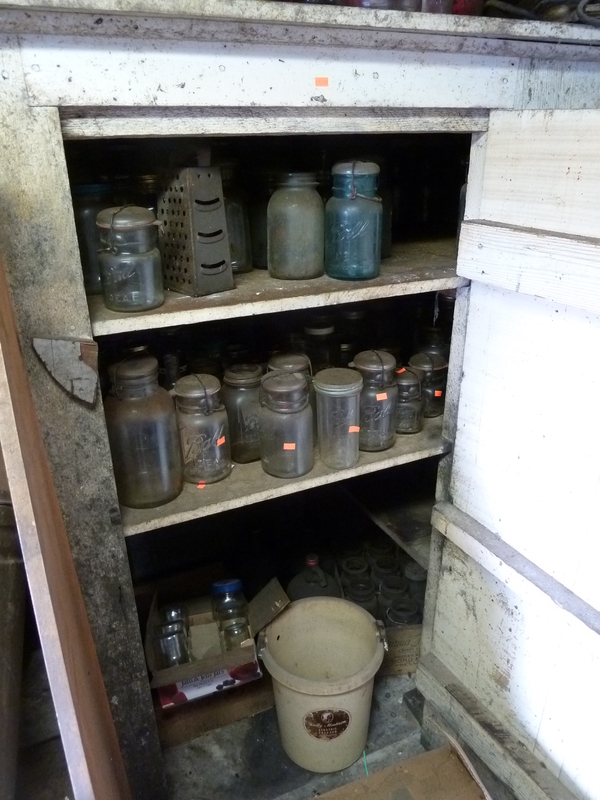 There were several crocks and old wooden wine kegs (might not be the right term for them) and an entire wall made into a storage cupboard that was filled with old old canning jars with the wire bails on them. 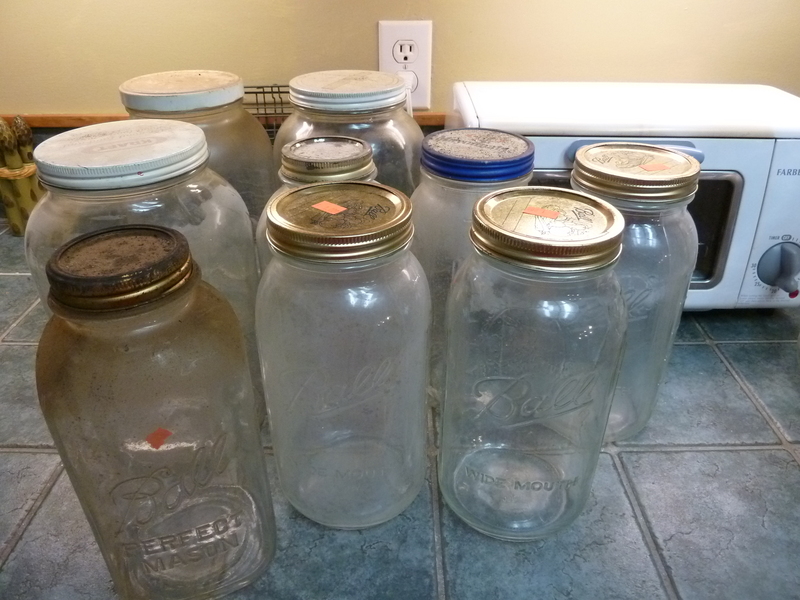 Most of them were out of my price range, but I managed to poke around and find 6 half-gallon canning jars for $1 each and a few gallon jars for $2 each. MINE! 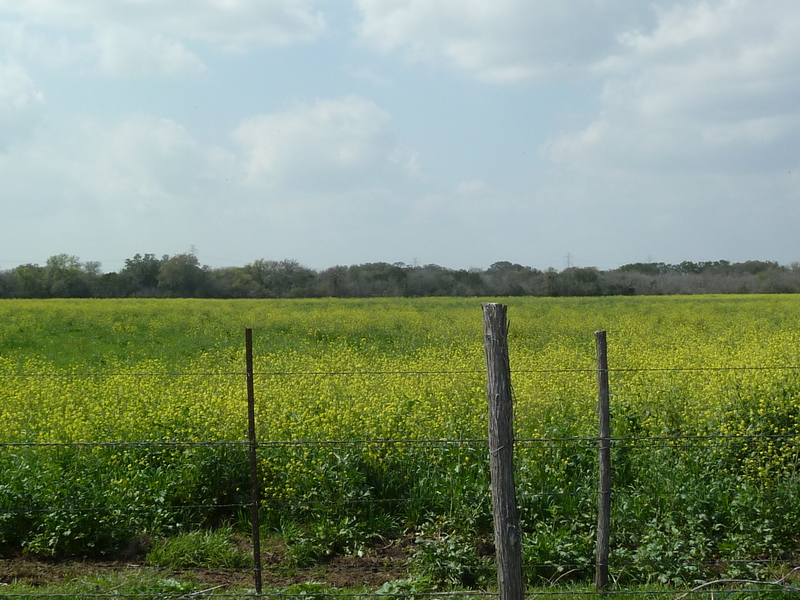 As I left this cute farm and drove out the driveway I pulled over and just took it all in. I just filled up my soul with the scene. It stirs something in me. I gazed down at my “new” jars and smiled. Am I the only one out there that has an obsession with jars? Except that’s where I was mistaken. Sour cherries aren’t those cherries at all, in fact I wouldn’t really say they’re very sour at all. They’re certainly not sour like the bitey, over processed commercial pie fillings can be, and they’re not sour like sour cherry candies. They’re not sour like anything I’d ever tasted before. During a recent trip up to Traverse City (and Mission Point), Michigan I had the opportunity to try Jolly Pumpkin’s Cherry Cream Pie. Jolly Pumpkin is a fantastic brewery and restaurant that uses local foods, many of which are artfully pickled and prepared, to create fantastically subtle and down-to-earth dishes. Their Cherry Cream Pie was unlike anything I’d ever tasted. It screamed “butter” with every bite, but not in an obnoxious way. In the way that cream had been pushed right to it’s very limits, making the cream base of the pie begin to take on a butter texture. The pie was topped with stewed sour cherries and a rhubarb drizzle. Oh. My. Gosh. It was heaven. 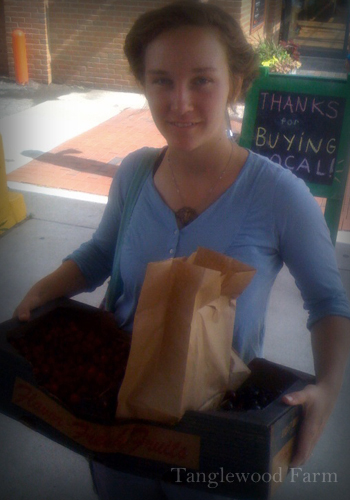 This was my first introduction to real sour cherries. 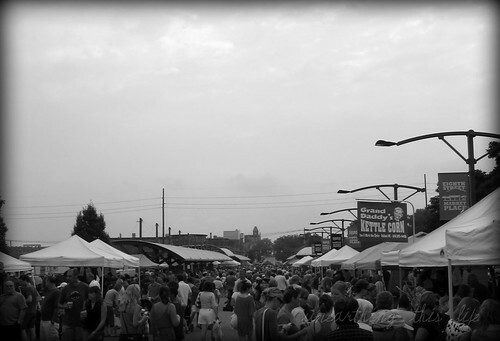 A few days later I found myself at a farmer’s market, buying a pint to try to reproduce the cream pie we’d had. Tentatively I popped one into my mouth and paused. This wasn’t what I’d thought it’d be like at all. This was sour like a perfectly sweet/tart currant jam, or a rhubarb compote. It was the way I had always wanted cherries to taste. I’ve decided folks should start putting disclaimers on their cherries. They should call them “Perfect-balance-of-sweet-and-sour Cherries”. 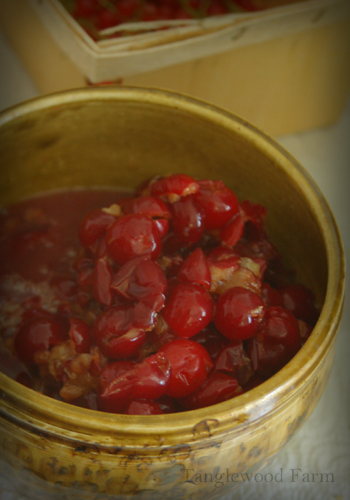 Of course, if you’re a cherry connoisseur you already know the joys that are sour cherries. I grew up with a Queen Anne cherry tree, which is a blush cherry that has very subtle, polite flavor compared to the black and sour varieties. Of course with those as my base reference point, you can imagine I was startled to discovered the montmorency cherry in all of it’s flavorful glory. So now I’m a montmorency cherry convert. I bought six quarts at the market on Wednesday and spent last night pitting them with my mother who is visiting from New Hampshire. 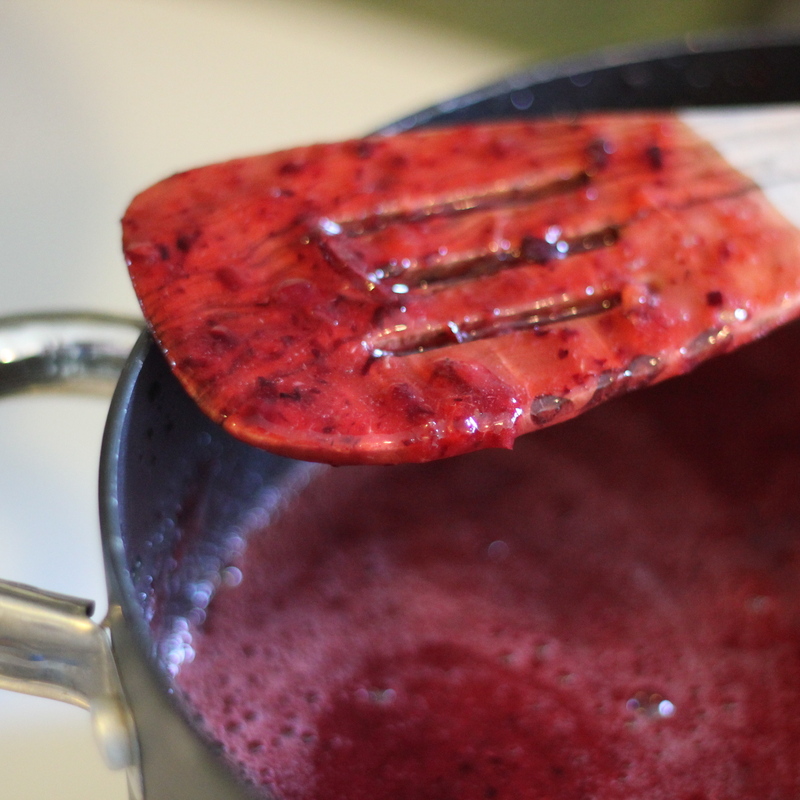 I will be making cherry preserves like a mad woman this morning, just as soon as I get up from my computer. I can’t believe how amazingly addicted I am to this stuff! 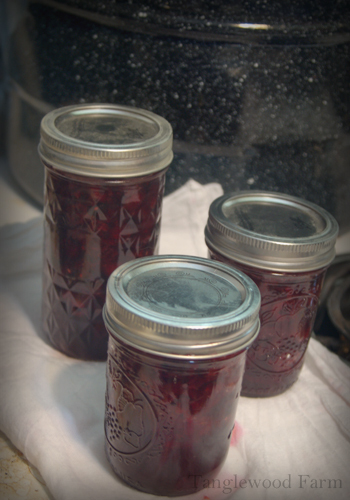 I just used a simple recipe but now I’m left wondering… are there cherry preserves (jams, compotes, chutneys) that I should be making other than just the simple stuff? 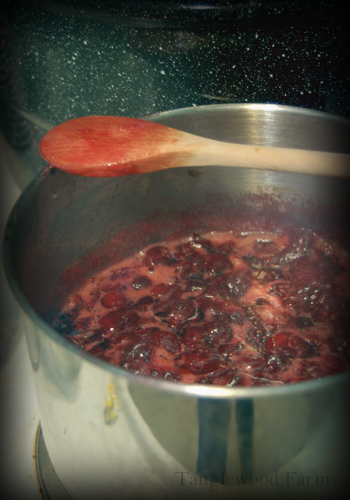 Do you have a favorite sour cherry recipe, or do you prefer the blush or black cherries?